Leopard Seal – named because of the colour patterns on its fur and its fierce nature, the Leopard seal is a fierce predator of it’s favorite food – Adelie penguins. They can leap up onto the ice and quickly grab a penguin. They also feed on fish, krill, and squid. 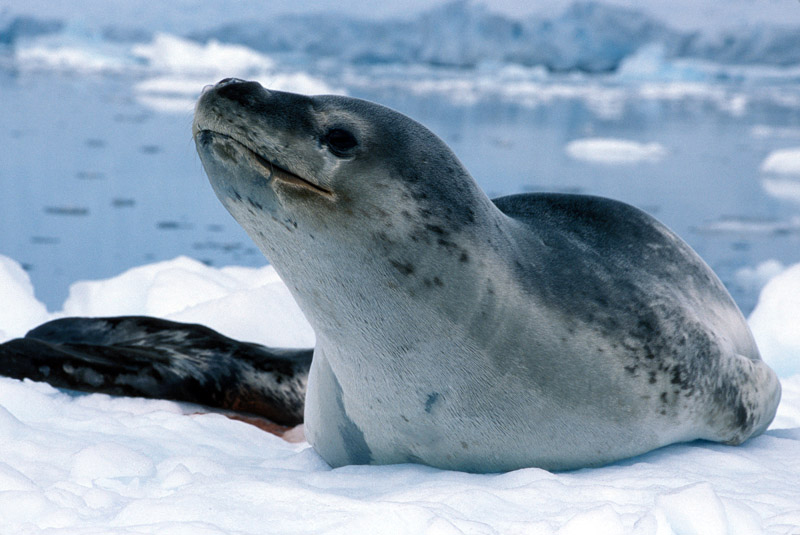 Unlike other phocid seals, the leopard seal uses its large fore-flippers while swimming (sea lion style).